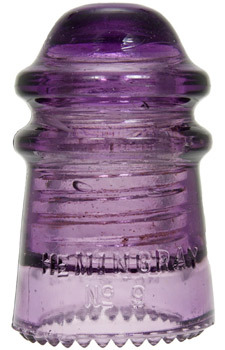 Notes: The style is quite common, but there are definitely rare and scarce colors and embossings. 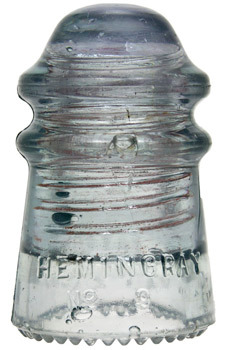 One of a kind Hemingray made CD 106. 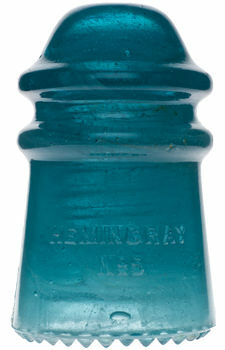 See the Collections section for more Info. 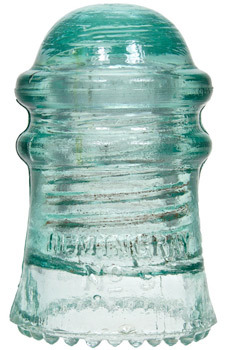 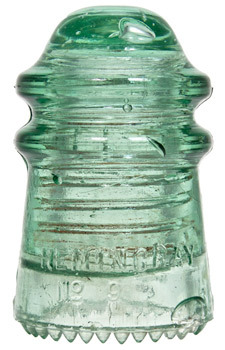 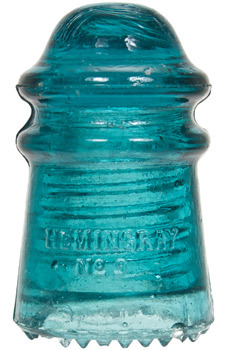 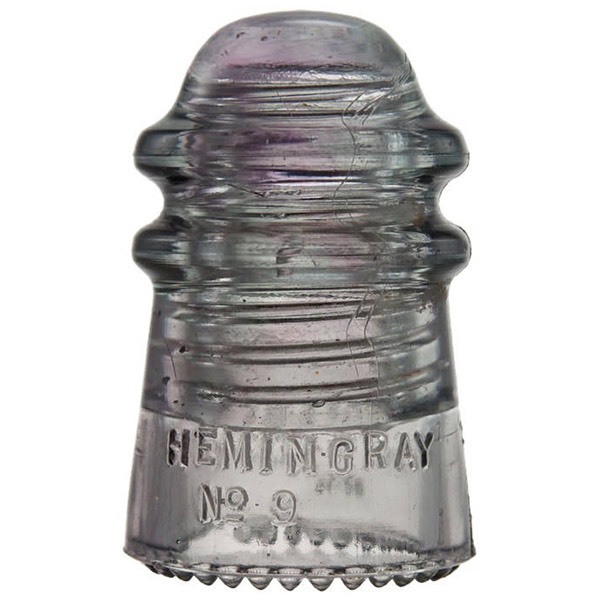 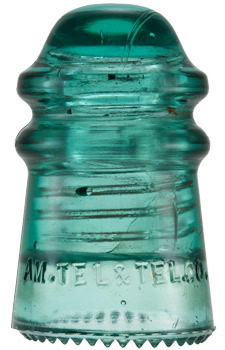 On Hemingray made AM tel Insulators. 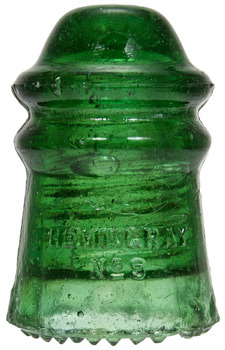 Note the larger dome and flared skirt.